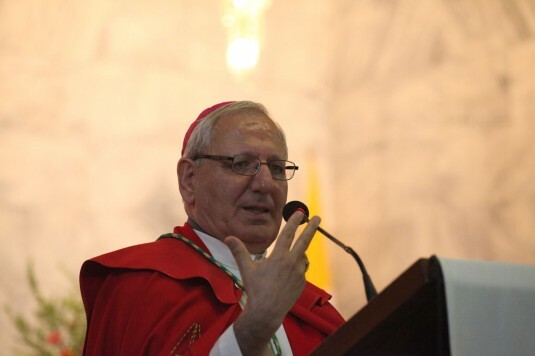 Agenzia Fides published the alarm launched by Chaldean Patriarch Louis Raphael I Sako in a widespread appeal yesterday, Tuesday, September 13. Mosul (Agenzia Fides) – In these days the media evoke « the preparations for the battle of Mosul » and once again, the need to launch a « great humanitarian project » begins in order to revive the city and the entire region, after the announced defeat of the jihadists of the Islamic State. But « before returning to reviving our beloved city of the Nineveh Plain », it is necessary to overcome the obstacle represented by a ferocious enemy, hidden under ground and sometimes even in everyday objects. « Because the jihadists of Daesh, even when they pull back, they continue to sow death with mines and explosive devices » that they disseminate in the fields and in the cities before fleeing. This is the alarm launched by Chaldean Patriarch Louis Raphael I Sako in a widespread appeal yesterday, Tuesday, September 13. The possible civil rebirth of the areas reconquered from the jihadists – says the appeal, sent to Agenzia Fides – starts from demining. The Primate of the Chaldean Church is confident that he already asked Fraternité en Irak in July – a French organization committed to supporting the Iraqi religious minorities – to take charge of the de-mining of the first two villages in the Nineveh Plain that had been freed. The same organization is already committed to the work of clearing of mines in other four villages, which before falling into the hands of the Caliphate were inhabited mostly by Christians and Kakai Kurds (religious communities that practice a syncretic cult). Only a mine clearance carried out by experienced and competent companies can really put an end to the exile of refugees who want to return to their homes. « It is more pleasant to build schools or clinics », acknowledges the Patriarch, « but nothing can be rebuilt if the clearing of land mines is not carried out ».